Saturday May 4th (Bank Holiday weekend) is the day set this year for our Glos Rd Central Mayfest. This is our community fair when shops and businesses on our part of Gloucester Road spill out onto the pavements, offering food, drink, live music, competitions, creative activities and more. 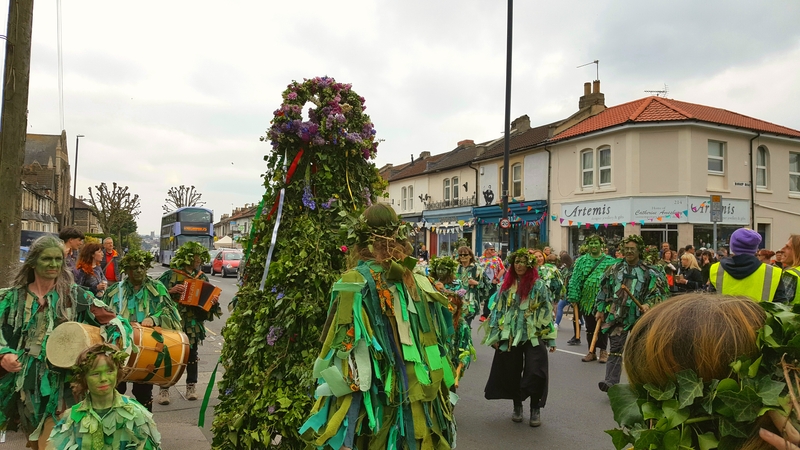 Mayfest always coincides with the traditional procession of Jack in the Green and his band of merry musicians and dancers who make their way from the Harbourside up Gloucester Road. They will pass by Glos Rd Central at around 3.30 on the way to Horfield Common when they enact a ritual to release the spirit of summer. The Glos Rd Central Mayfest runs from 10am til 4pm so everyone will be welcome to follow the procession up Gloucester Road to the Common.